Benches provide an accessible luxury to any bathroom. 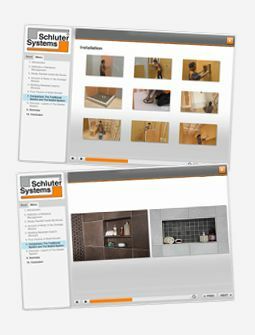 Creating tile benches that fit your bath or shower specifications is easily achieved using Schluter®-KERDI-BOARD building panels. 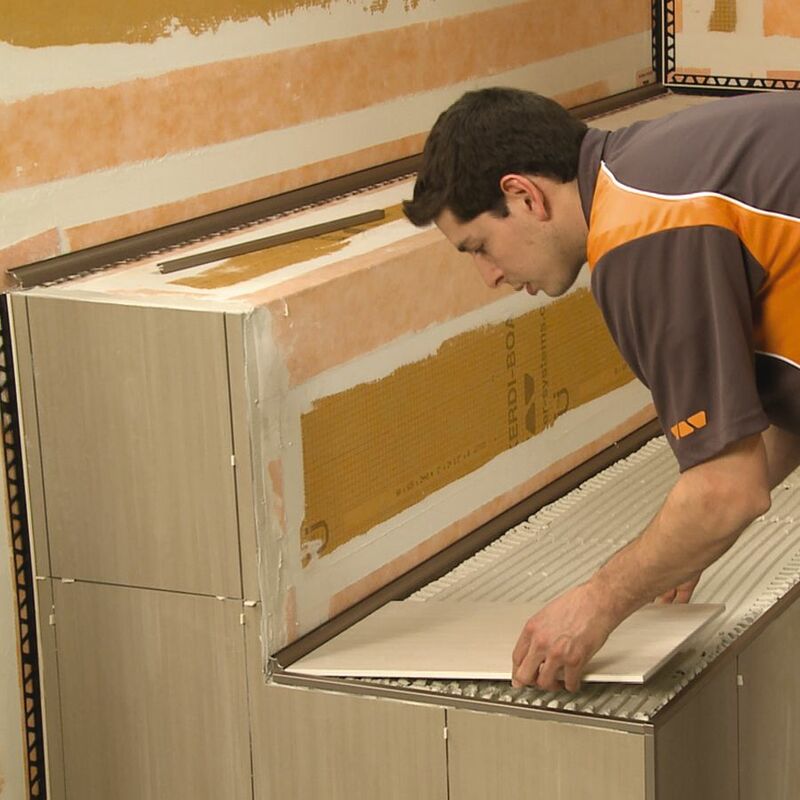 KERDI-BOARD is the ideal substrate for creating shower benches that are ready for tile. 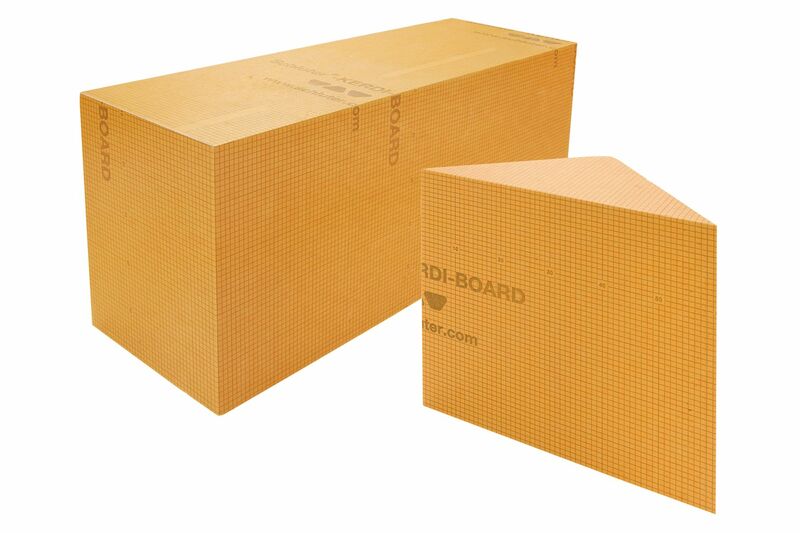 Simple to cut with a utility knife, KERDI-BOARD can be easily customized to fit your bench size and design specifications. 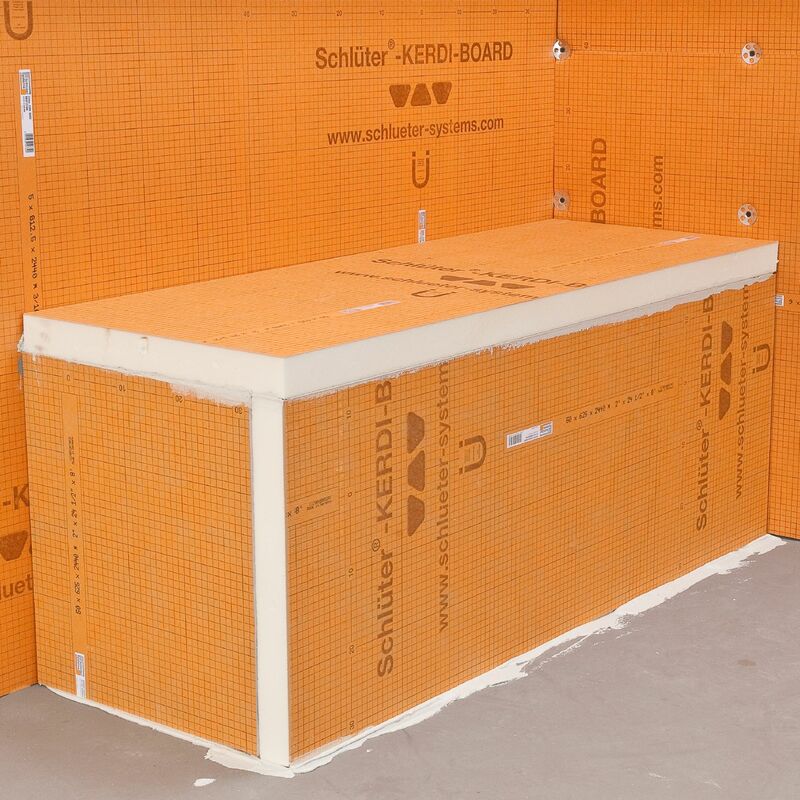 KERDI-FIX, a single-component sealing and bonding compound will help you fix the bench in place, and KERDI-BAND should be used to seal the edges of the assembly to ensure that the bench is suitably waterproofed. Watch the Mike Holmes crew build a one-of-a-kind KERDI-BOARD bench. Creating a customized bench can be accomplished in three easy steps. 1. 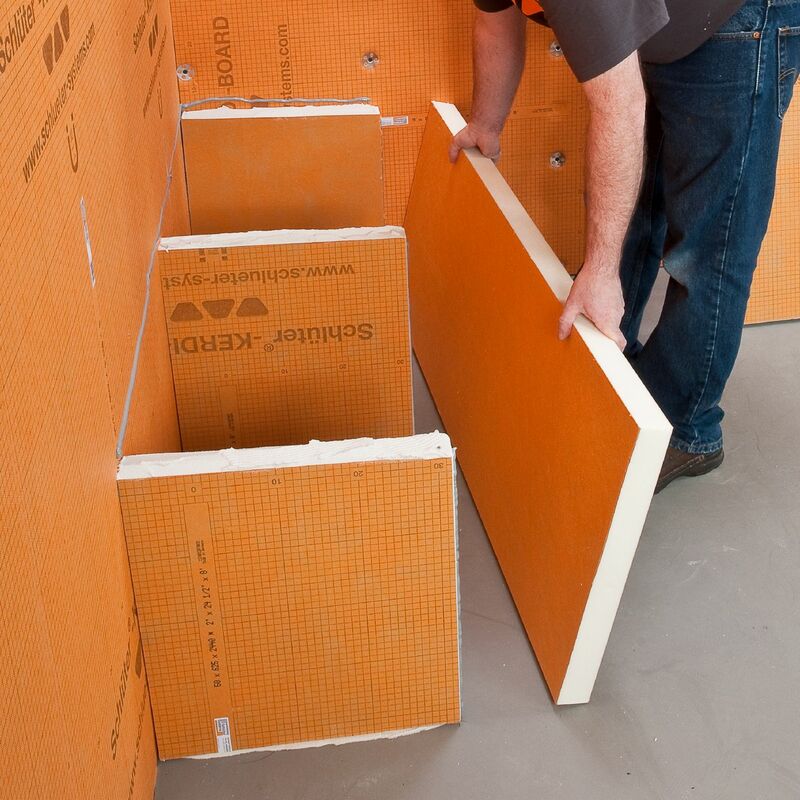 With a utility knife and 2” KERDI-BOARD cut to size and set your supportive pieces with KERDI-FIX. 2. Again using KERDI-FIX adhere the front of the bench to all fixed elements. 3. Finally finish off by affixing the top seat. 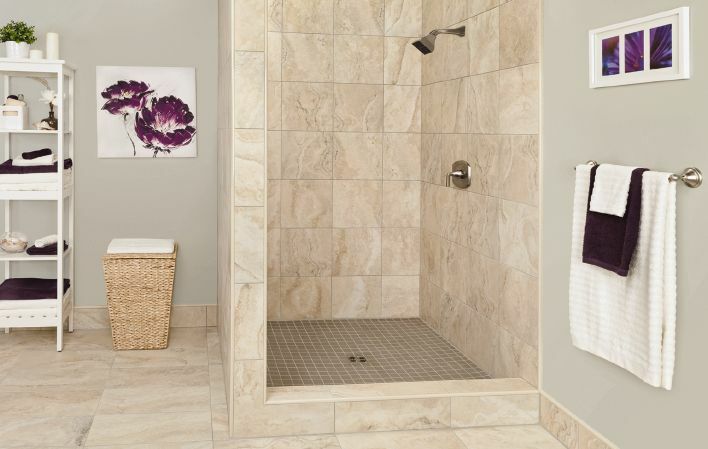 You are now ready for tile. 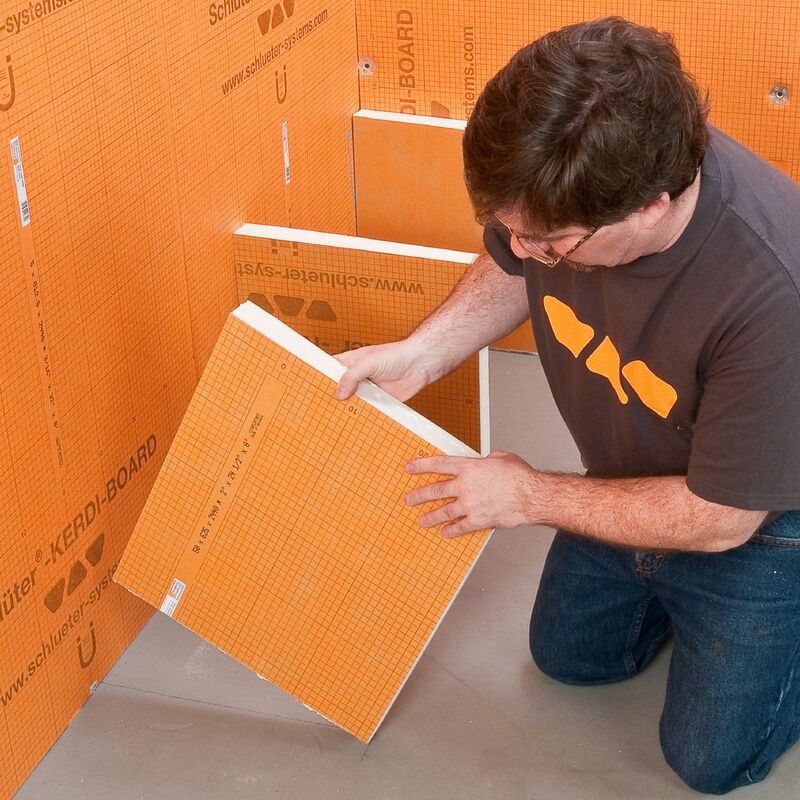 Use KERDI-BOARD to create a fully waterproof shower. Maybe a prefabricated bench is the right fit for you.